Long Beach, CA—April 20, 2016— Earth Day was founded in 1970, but Goodwill, Serving the People of Southern Los Angeles County (SOLAC), has been celebrating the principles of reducing, reusing and recycling since 1928. 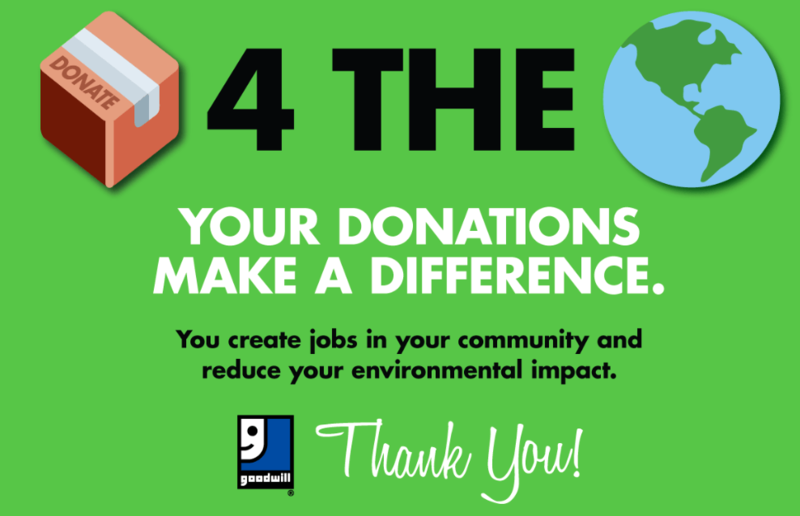 You probably already know that Goodwill® accepts donations of your used clothing, housewares and furniture. But did you know that Goodwill is also a leader in refurbishing and reselling computers? At Goodwill SOLAC, you can donate working computers to fund job training and placement programs, as well as safely recycle your used computers, video games, storage devices and more. This also means that customers in the Southern Los Angeles County area can purchase modern technology – often the source of our greatest household expenses – at a Goodwill price. Purchasing used computers and other electronics positively impacts the environment, as you give new life to items that otherwise would have ended up in landfills. Through socially innovative partnerships with corporations, county and city municipalities and other organizations, Goodwill diverts about 800,000 pounds of e-waste – including used computers and other computer equipment – from landfills each year and provides consumer education on the importance of environmentally responsible computer disposal. These programs create job training opportunities for collecting and sorting to more skilled positions. For more than 85 years, through its entrepreneurial business model of collecting and selling donated goods, Goodwill SOLAC has helped communities in Southern Los Angeles County extend the life of usable items in environmentally sound ways and prevent items from piling up in local landfills. Additionally, Goodwill SOLAC serves as a sustainability innovator by harnessing renewable energy, from using solar power to add security cameras at its Attended Donation Centers to serving as a state certified e-waste collector. Finally, Goodwill SOLAC provides on-site and virtual skills training, employment training, job placement services and other community-based services, such as career counseling, English-language training, financial education, industry-recognized credentials, résumé preparation and access to transportation and child care. Last year, nearly 7,000 people connected with jobs or earned employment using Goodwill SOLAC’s career services programs.